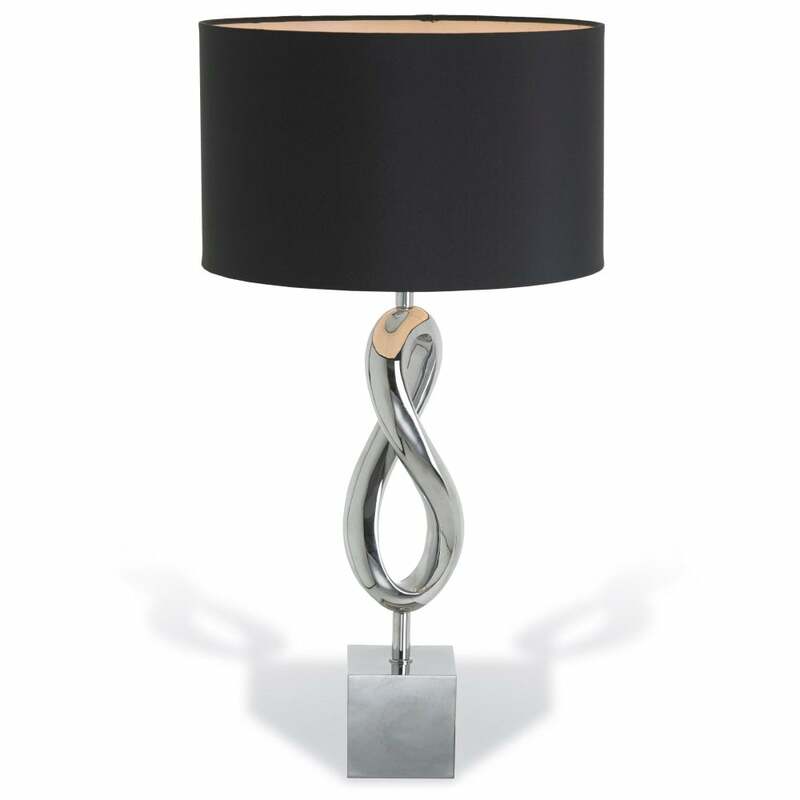 Featuring a free-flowing loop design, the Abril Twist Lamp by RV Astley is hand-crafted by skilled artisans in the UK. Inspired by luxury hotel interiors, this table lamp will bring an elegant air to any home. Mounted on a solid cube base, the design plays with proportion and shape to create a statement home accessory. Complemented by a circular black shade with gold lining to create a warming ambience. Style within a monochromatic living space for a sophisticated look. Combine with other RV Astley products in the range for a cohesive scheme. Make an enquiry for more information.